Dido has teamed up with Jin Jin and Jake Gosling for a new collaboration. Jin Jin – real name Janee Bennett – is known for co-writing Jess Glynne’s “Hold My Hand,” Little Mix’s “Grown,” Fleur East’s “Like That,” Alex Newell’s “Keep it Moving,” Olly Murs’ “24 Hours,” Jax Jones’ “You Don’t Know Me” (featuring RAYE), Sub Focus’ “Love Divine” (featuring Moko), Foxes’ “Scar,” Tinie Tempah’s “Mamacita,” and Krishane’s “Drunk and Incapable” (featuring Melissa Steel). Meanwhile, Gosling’s production resume boasts works with Ed Sheeran (“Thinking Out Loud”), Nina Nesbitt (“Apple Tree”), Shawn Mendes (“Mercy”), Christina Perri (“Be My Forever”), Nervo (“Close Your Eyes”), Ella Henderson (“All of You or Nothing”), RoxXxan’s (“Bang Goes The Beat”), Tori Kelly (“Blank Page”), Jacob Banks (“By Your Side”) and Chloe Howl (“Cliche”). Dido, on the other hand, is reportedly working on her upcoming fifth album and follow-up to 2013’s “Girl Who Got Away,” which peaked to number thirty-two on the US Billboard 200 Albums Chart. Watch the music video for “White Flag” below. The singer-songwriter posted the visual clip for “Work” – featuring Drake – to her Vevo channel on Monday (February 22, 2016). “Work” – now available for download via iTunes – was co-written by Rihanna and Drake along with Allen Ritter, Jahron “PartyNextDoor” Braithwaite, Rupert “Sevn” Thomas and Matthew “Boi-1da” Samuels. Video treatment was collectively handled by Director X (Little Mix, Kendrick Lamar) and Tim Erem (Major Lazer, Tove Lo). Rihanna’s latest studio collection “Anti” debuted at number seven on the UK Albums Chart and topped the US Billboard 200 Albums Chart. The follow-up to 2012’s “Unapologetic” features further alliances with Fred Ball (Jessie Ware), Dido (Britney Spears), Mick Schultz (Zendaya), Jean Baptiste Kouame (Rudimental) and Brian Kennedy (Jennifer Hudson). 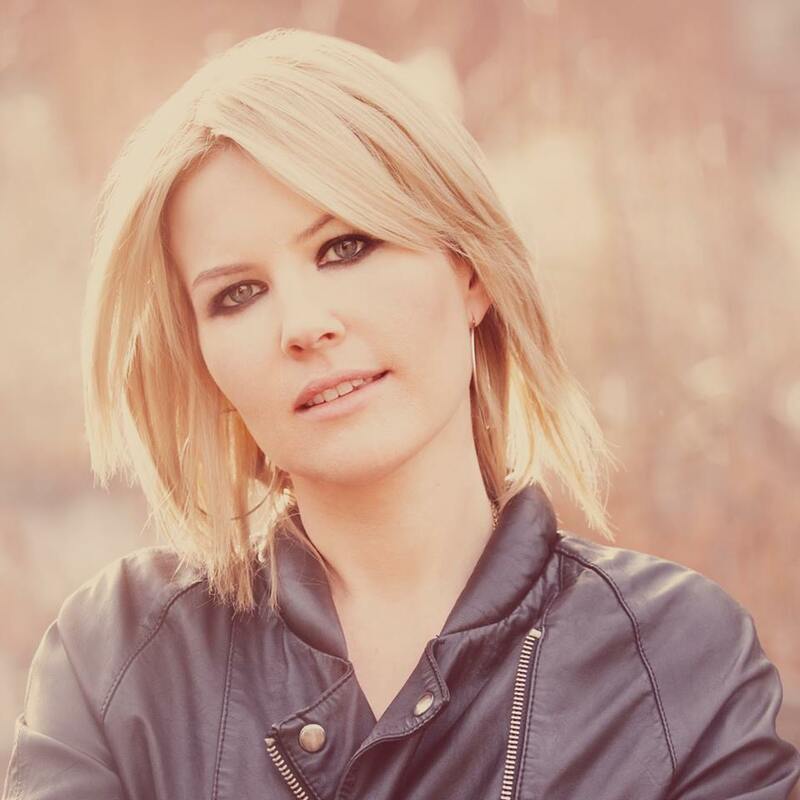 Dido has unveiled a new her new single online. “NYC” is taken from the British singer/songwriter’s upcoming “Greatest Hits” compilation, which is due on November 25 via RCA Records. Other recent credits by Kurstin include “Elastic Heart” by Sia featuring The Weeknd & Diplo [Republic Records], “Underneath the Tree” by Kelly Clarkson [RCA Records] and “Burn” by Ellie Goulding [Polydor Records]. Meanwhile, fans of Kurstin’s production work should keep an eye on the next albums by Beyonce Knowles [Columbia Records], Kylie Minogue [Parlophone Records], Bonnie McKee [Epic Records] and Mikky Ekko [RCA Records]. Dido has confirmed the official tracklisting for her upcoming collection. The British singer/songwriter will release “Greatest Hits” in the United Kingdom on November 25 via Sony Music Entertainment / RCA Records. “Greatest Hits” boasts productions and songwriting contributions from Rick Nowels (Lana Del Rey, Nelly Furtado), Jon Brion (Katy Perry, Emeli Sande), Greg Kurstin (Beyonce Knowles, Sophie Ellis Bextor), A.R. Rahman (Kylie Minogue, Joss Stone) and Jeff Bhasker (Leona Lewis, Alicia Keys). Dido has confirmed plans for releasing a greatest hits collection. The British singer/songwriter is currently selecting songs for the still-untitled project, scheduled to hit stores and online outlets in November via Sony Music Entertainment / RCA Records. She is also known for collaborating with super producers including Rick Nowels (Madonna, Celine Dion), Lester Mendez (Shakira, Nelly Furtado), Greg Kurstin (Beyoncè, Sia Furler) and Jeff Bhasker (Pink, Alicia Keys). Watch the video for “Sand in My Shoes” below. Dido has premiered the music video for her new single online. “End of Night” is taken from the British singer/songwriter’s fourth studio album, “Girl Who Got Away,” out now via Sony Music Entertainment / RCA Records. The track was co-written and produced by Greg Kurstin, who is also responsible for singles “True Love” by Pink [Sony Music Entertainment / RCA Records] and “I Was a Fool” by Tegan and Sara [Warner Bros. Records]. “Girl Who Got Away” – which serves as the follow-up to 2008’s “Safe Trip Home” – yields further productions and songwriting collaborations with Lester Mendez (Shakira, Enrique Iglesias), Rick Nowels (Shaznay Lewis, Craig David) and Jeff Bhasker (Beyonce Knowles, Lana Del Rey). Dido has released the official lyric video for her new single online. “End of Night” is taken from the British singer/songwriter’s latest album, “Girl Who Got Away,” out now via Sony Music Entertainment / RCA Records. The track was produced by Greg Kurstin, whose credits include “Living Dead” by Marina and the Diamonds [Warner Music Group / Atlantic Records], “Blow Me (One Last Kiss)” by Pink [Sony Music Entertainment / RCA Records]. He also contributed to the next albums by Katy Perry [Warner Music Group / Capitol Records], Lily Rose Cooper [Warner Music Group / Polydor Records], Kylie Minogue [Warner Music Group / Parlophone Records] and Neon Hitch [Warner Music Group / Reprise Records]. Meanwhile, the new collection by Dido Armstrong – which serves as the follow-up to 2008’s “Safe Trip Home” – boasts further collaborations with Rick Nowels (Celine Dion, Alicia Keys), Jeff Bhasker (Leona Lewis, Kanye West) and Lester Mendez (Nelly Furtado, Enrique Iglesias).